The wait is over... Flora & Fauna is finally about to launch and as usual I have the low down on each of the colours for you! Call me crazy but the January release of this collection is perfect for the shades. Personally as soon as it January hits I'm thinking about the lighter colours again so if you're anything like me, these are going to make your eyeballs dance. The collection consists of six new Shellac shades with matching Vinylux, another new colour which is exclusive to Vinylux (Thistle Thicket) and an existing Shellac shade (Blush Teddy) being released as a Vinylux colour. Alongside all of this are five limited edition Additives. As usual I have filmed my comparison video which is linked here and the end of this blog post (or click here) where I compare the closest existing shades with the new ones. I have to admit that I did wonder initially how far off certain shades like Creekside would be to Azure Wish but of course they're never actually similar! UK Launch 1st January through Sweet Squared online and at Creative Academy+ Manchester on 2nd January 2015. Please ensure you are following my on Facebook to keep up to date with all the latest releases! I've just done my nails, ready for New Year. I didn't want to do anything too typical for my nails but black and gold in particular were screaming out to me from my Shellac rack so I went for it. 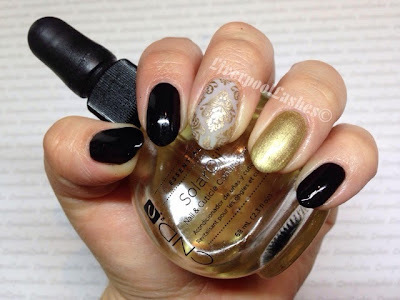 I used CND Shellac in Black Pool on all nails from from the middle finger where I used Cityscape and a gold print from MoYou London Fashionista 07 plate and my ring finger had Locket Love on. I adore this combination! I'm pretty loyal to foundations, if I find one I like I rarely move on to another so for that reason I haven't tried that many of them. 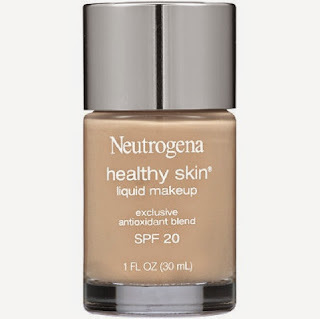 When I was in the States in October however I couldn't resist trying one that I couldn't buy at home which was the Neutrogena Healthy Skin Liquid Make Up in Ivory. 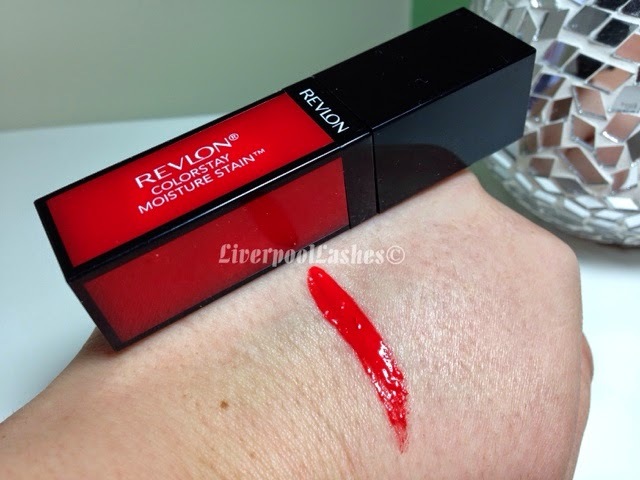 To me the bottle is along the same lines at the Revlon Colorstay, it's glass and fairly basic which you pour the product out from. Some people don't like that foundations like this don't have a pump but I don't care too much if it's a good product. Although I matched myself it's a really good colour for me, I surprised myself! I would say the coverage was medium to full. You could definitely build it up pretty easily to completely fully coverage but that's typically not what I enjoy. I always sweep a powder over to set it which I do with this foundation and I find that it lasts all day. I do get the occasional shine on my t zone but that's more to do with my skin than the product. The bottom line is... This foundation is up there as one of my favourites. I've used it on a daily basis and when I am next over in the States I shall be picking up a back up! For the best part of a year I have been wandering into the Selfridges at The Trafford Centre and admiring the Aroma Diffusers at their Muji section. I loved how calming they are with the smoke billowing out of it and the tranquil scents. 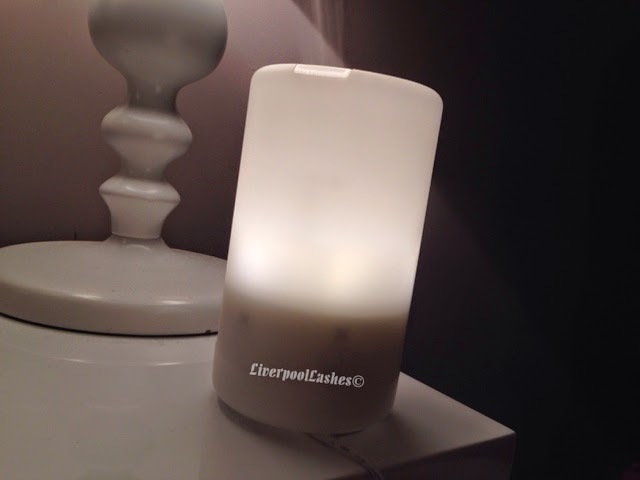 I was lucky enough to received a Muji Aroma Diffuser for Christmas from my husband which was brilliant because Christmas Day night I wasn't very well with (amongst others!) a chesty cough which then developed into a cold. I applied a few drops of the eucalyptus into the water and it gave an amazing experience that helped me breathe easier as I slept. The aroma has various options to shut off after a certain amount of minutes. You can also use it with the light on, dimmed or completely off. The thing I like about it so much is that it's not hot to touch and even the water inside isn't warm which is actually what I expected, therefore it's no danger to children or pets. I absolutely adore it and highly recommend it for yourself or as a present. I would say that if you're hoping to fill a medium to large room you would need the large version but if you'd be fine with the one I have if it's a smaller space, you'd be right by it or it's on a beside chest. I had fancied a different type of advert calendar for a couple of years now. I saw the beauty ones and they interested me but when a client showed me that Yankee Candle did their own, I had to try it. It's probably a bit odd to review an advert calendar but honestly I just wanted to log somewhere online how disappointed I was. 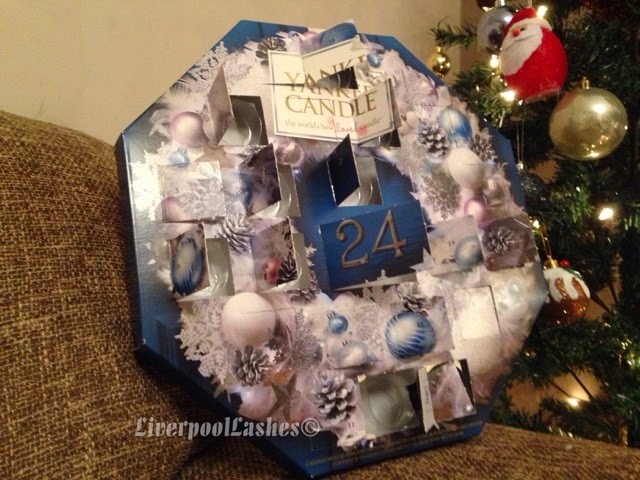 This calendar contains 25 tealights (originally I thought it was votives - silly me!) Each day you received one tealight to burn which should last around four hours. I was excited to burn a different Christmas scent every night. On the second and third day I got the same scent which I originally thought was a mistake but one of my clients had the same calendar and received the same scents on the days I did. The biggest disappointment for me was that there are only six different scents in this calendar that you can possibly receive. Yankee Candle have far more than this so I was really not happy when I realised this. Eventually I couldn't be bothered to open the door as less than half way through the calendar I had smelt them all so there was no element of suprise. I do not recommend this calendar. The concept was good as I adore candles but I was just bored by the time I got to the half way point due to their lack of effort put in to choosing the scents. I have a bit of an obsession with Christmas traditions, I don't know what it is but I find myself asking every client what they typically do and find it fascinating what different people do with theirs. Last Christmas Day I wrote about my family's traditions (click here to read it) so today I thought I'd write about the traditions I have for Christmas Eve. Christmas Eve is often a mixed bag for me. When I worked in the call centre I generally always worked Christmas Eve and finished at 4pm which didn't really bother me as my husband would be working it too. Now since I moved into a career in beauty I have worked some portion of Christmas Eve which again doesn't bother me as I love the festive feel around. Once work is over and we've had our dinner we will generally take our presents around to my parents ready open on Christmas morning. At some point we will probably watch a Christmas film like Elf or Polar Express, typically in pjs. 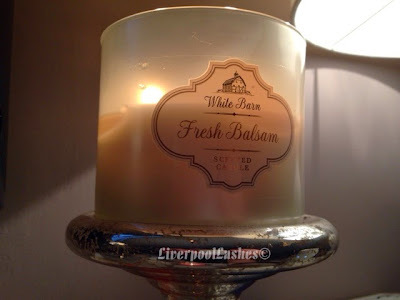 For the past few years I've been bringing a 3 wick Bath & Body Works candle home from the States in 'Fresh Balsam' as it smells like Christmas trees. I will light it in the morning of Christmas Eve and burn it right through the day, I will then take it to my parents to burn all day there on Christmas Day. The scent is something that I enjoy and associate now with these two days. 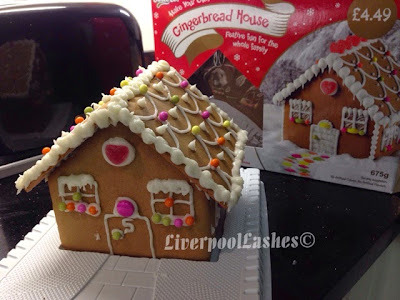 A new tradition that it started last year is to do a gingerbread house with my mum. It's normally hilarious fun whilst we battle to keep all of the walls together as we ice it. The perfectionist in my tries to get the icing to look good but it never actually works out like I've planned. The evening will end probably late on with Mum already panicking about the Christmas dinner that's normally more than 12 hours ahead!! It's also highly likely that my parents are trying to get rid of us earlier so that they can do last preparations! I hope you've enjoyed this post as much as I've enjoyed writing it! Jen is a regular at my home salon and I adore her. When she first started coming to me every fortnight it was square, French tip enhancements that she wanted every time, without fail. Obviously whatever the client wants, she gets but eventually despite her having them permanently for years before being referred to me, she's now having all kinds of different nails. Jen wanted to correspond with her dress for New Year so she choose to have her nails infilled (with the usual opaque pink powder) I then applied a layer of Shellac Beau to every nail apart from her ring finger which I added Silver Chrome to instead. 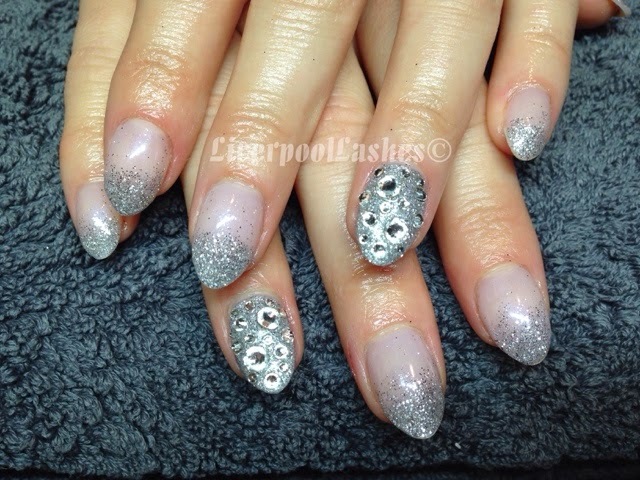 I then used a silver glitter to apply to the tips of the nails with Beau on and all over the ring fingers. I finished the ring fingers off with various genuine Swarovski crystals. Jen says that they're her favourite so far! Today I didn't feel the need to talk directly about anything beauty related due to the sad incident that happened in Glasgow and the various other sad news I had seen with my fellow nail techs. With the buzz of this time of year it's easy to get caught to with the nice but minor importance of the season. Instead I wanted to talk about what really matters, spending time and appreciating your friends and family. One of my favourite things about this time of year is the amazing love and warmth I feel from everyone, including clients. Today a mum of two of my friends came to get her nails done. She's been to me before but doesn't treat herself very often at all. She had told her daughter who was with me on Saturday that she had wished she had booked in for them to be done and as I had a little gap in my appointments I was able to fit her in today. Her daughter had paid me in advance for the appointment as a surprise so I had the pleasure of telling her when she reached for her purse at the end of the service. As soon as I told her she took a moment or two to register and then she was so happy that she came over and hugged me. It was just that thoughtful touch from her daughter mixed with the happiness I saw in her mum that made me almost teary eyed! 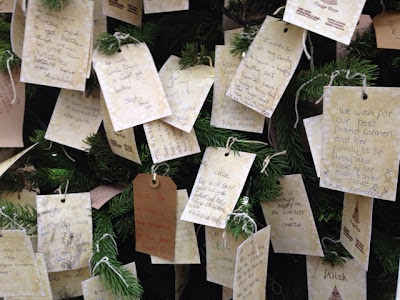 Last week I went to the Manchester Christmas Markets and there was a Christmas tree with Macmillan Wishes on there. There was a lot of remembrances on there but there was also a lot of love and well wishing as well. I've also thoroughly enjoyed telling my clients that I am doing a paraffin wax treatment in their January appointments. Many have told me that I don't have to do that but I want to treat them as my way of thanking them for their business. Without getting all soppy, I truly see the warmth all around as the excitement builds. One nail tech is suspecting her daughter is coming home from Australia to surprise her! Another has had her son come home from Australia which is the first time they've been together for two years. The subject of Australia is particularly close to my heart as my brother, his wife and baby emigrate in less than a month's time. Although not every occasion around this time is a happy one (I myself lost my Nanna on Christmas Day 2009) counting all the blessings around you to me is the true spirit of the season. I adore these nails so I just had to show you! 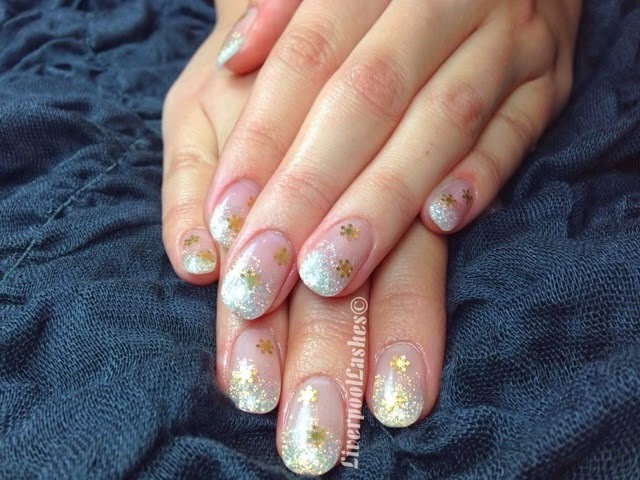 Rachael came in for her appointment and she asked me for something similar to the nails she had last year which were white AB glitter faded up from the tip with gold snowflake slices encased in the acrylic powder. 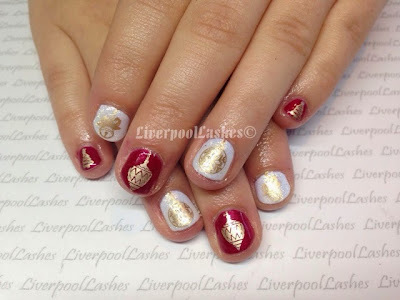 She didn't want to be particularly "Christmassy" as she would still have them on after the big day so when I showed her Lecente's glitter in "Garnet" she loved it and wanted gold snowflakes over it to finish off her enhancements. I used MoYou London Festive Collection Plate 02 to print them onto her nails. I literally adore these nails, Rachael's taste is very similar to mine so she always picks things that I would love for mine too! It's standard now that when Ali books in for her nails to be done, she's open to suggestions of what to have. I'll put some ideas together and we work from there as I do them. She has a mix of CND Shellac in Red Baroness and Cream Puff with Lecente Constellation over it. As her little finger is tiny and her nail beds in general are fairly small, we choose images from various MoYou plates to fit them which I used a gold to print with. I love how the colours compliment each other perfectly. 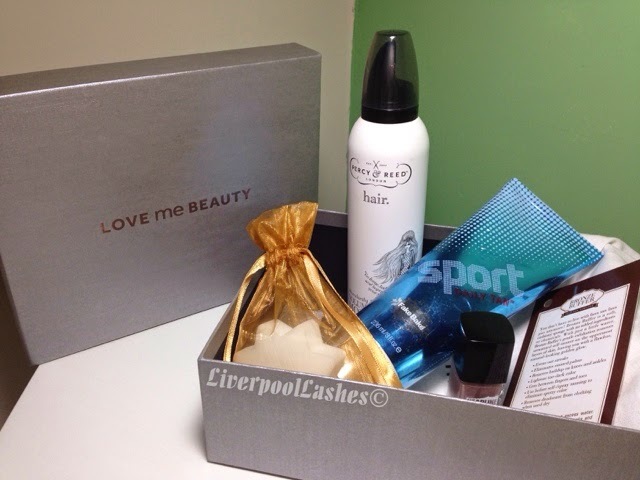 I wasn't expecting to do another beauty box review but for some reason another Love Me Beauty box has arrived, their December edition. I must admit that although I wasn't expecting it I was rather delighted with the weight of it when the postman handed it over as I know it felt like a good box! I'll keep it brief but I got the Percy & Reed Volumising Mousse which appears to be full size. I've had a quick sniff of it and it doesn't smell of anything particularly delicious. I'm obsessed with big hair though so this was perfect for me! Next up is the Fake Bake Sport daily tanning lotion. I love a bit of colour so I'm glad to test this out and shall happily do a review one I have done so. The bonus items were a nail polish which is a nice shade but I won't be using it as I generally always wear Shellac. The other item was a tan removal sponge which we shall see how I get on with! 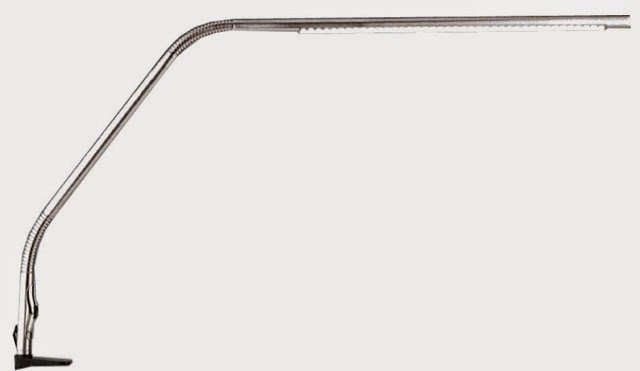 Admittedly I do feel like I am the last person to talk about this but I recently treated myself to Daylight Company Slimline Table Lamp and I absolutely couldn't be happier with my purchase, I truly believe every nail tech needs one of these! We all know when doing detailed work that light is required - in particular - true daylight. Of course, when I'm taking my photographs for this website all filming in nail tutorials I use photography lights however these are the type of lights that are not suitable to be out all of the time and quite frankly there wouldn't be any space for them anyway. When the box arrived it was really small which I was happy with. Of course this is a slimline lamp but I did think that it might be more bulky or longer somehow (and take up more room.) This to me means it could be used for mobile work as well. The lamp clamps onto a desk really securely. 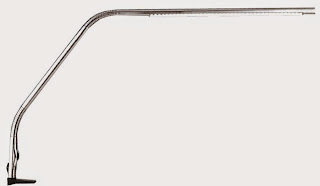 It has two bendable joints so that it can be perfectly positioned. The actual head of the lamp is really slim which I like because even though it is the eyeline of yourself and the client, it doesn't get in the way as you're talking. I also like that it has a touch button, you can truly tell that this lamp is extremely good quality. The light that it gives is pretty bright but not as bright as to glare, it's just truly perfect to allow you the maximum amount of light for accurate work. I have found that it is also brilliant for photography and as it's already set up and ready to go it's easier than me getting my photography lights out to take a photo. The bottom line is if you're a nail tech and you're just using the light in your room to work with, you need this. I literally will not work without mine now! I hope you've enjoyed this post and that you've found it useful! Please make sure you're following my Facebook page to keep up to date with my latest reviews and tutorials. I go through many phases with loving red lips and there's no better time than Christmas. 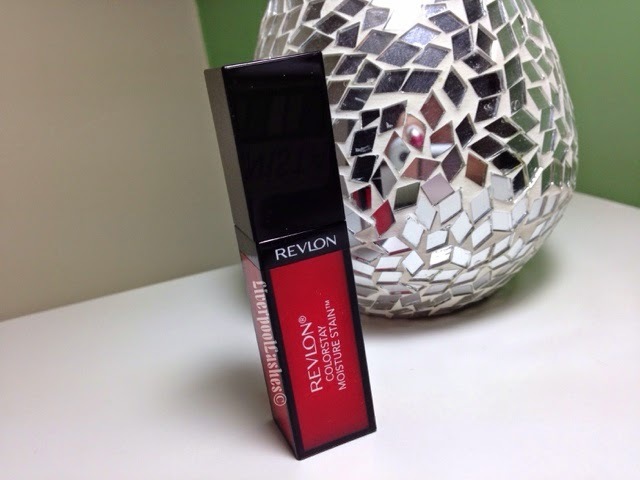 I bought the Revlon Colorstay Moisture Stain in Shanghai Sizzle whilst I was over in the States as I mainly wear stains. Sidenote: Unfortunately and very oddly, it looks like they don't do that shade here. I just really like the fact that once the colour starts to wear away the pigment that the stains your lips is still there. I would say that Shanghai was a typical, bright, postbox red shade.The applicator is really soft and the formula is really pigmented and smooth. I do enjoy the high-gloss finish that gives to the lips. Now for the bit that I don't like. I don't believe that this is stain lip product. I haven't found that if I was to put it on the skin leave it for a few minutes and then wipe away it doesn't mean any sort of the stain. Overall though I like the finish I wouldn't repurchase it for another shade because it doesn't do what I thought it would. 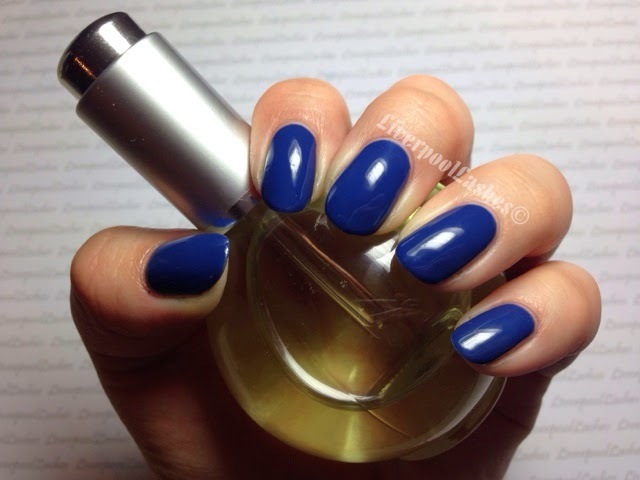 Today's post is just a fairly quick one about my current nails. 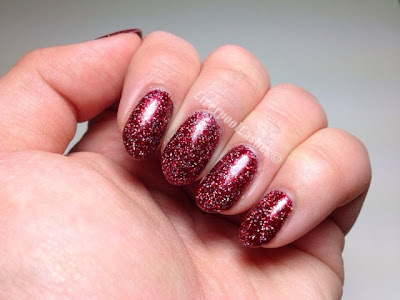 I have been thinking about using Lecente Winter Wonderland glitter on my nails somehow. My friend Lydia was wearing at brighter red Shellac shade that I really admired, however I wanted to try a darker shade so I applied to layers of Crimson Sash underneath to give this almost wine coloured tone to Winter Wonderland. 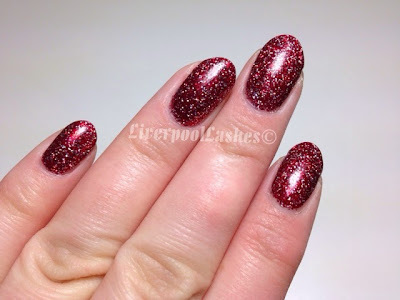 I love this twist on a classic red, super sparkly nails for Christmas. I think that the holographic pieces in the Winter Wonderland add something a little different. 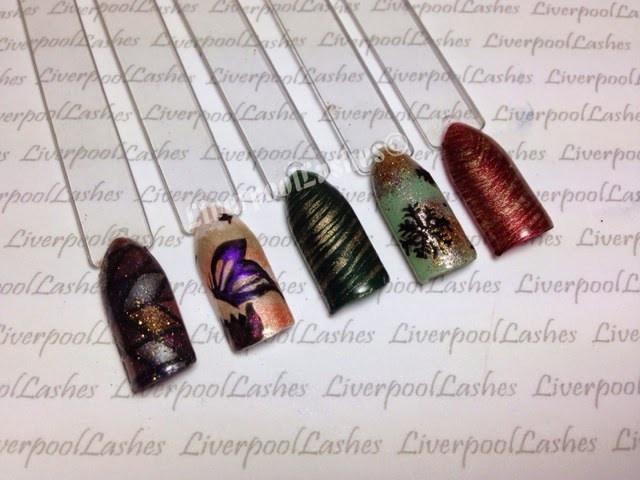 I've actually had a few clients chose if for their own nails based on mine. Christmas presents for clients can sometimes be a bit of a grey area to me. I definitely like to do something for them as it's the time of year where as we show our appreciation for the business they bring to us, however I do think that there is some factors to consider. Firstly, whatever you do one year sets a president for what you do for the following years to come. I do think consistency is key. Imagine if you bought all of your clients a fantastic gift and then the following year they got just a card. It could lead them to believe that their business wasn't as good or as valued as the previous year. Secondly you need to decide who gets your offerings, clients that book in every two weeks? Every month without fail? Everyone who books in December? It's hard because I feel like every client is valuable and I don't like to pick favourites for this reason (if you're reading this and you're a client of mine - of course you're my favourite but please keep it to yourself! haha) My personal rule is the clients that have booked continuously every few weeks throughout the year will receive a token gesture from me. 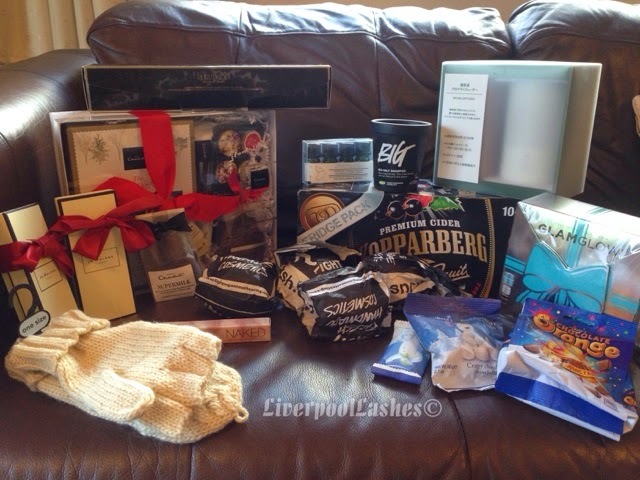 When it comes to the "what to give" topic, I do feel that any "little extras" are always appreciated with clients. It's easy to go extravagant with gifts, fearing that you may look a bit tightfisted when you hand it over but remember that you're trying to show you're appreciation and the client would most probably be touched at you thinking of them specifically. Last year I gave my clients a sparkly bracelet. It wasn't anything too elaborate but it was just a little acknowledgement from me that I appreciated them. This year I have decided to treat them all to a paraffin wax treatment on their next appointment after Christmas. Many of my clients haven't experienced it so it's a good extra pampering at the time when the weather is particularly harsh and a month that money can sometimes be a little more stretched. Also as January is typically a slightly quieter month, I can put time aside to carry it out without disrupting my usual schedule. My clients will be aware that not only am I using my products on them for this extra special treatment but that I am sacrificing my time also to carry it out. From a business point of view also, any treatment that you offer may encourage a future booking either for the client themselves or for one of their friends or relatives as a gift too. I once did basically a paraffin wax party for a lady's 60th, arranged by her friend! Of course you could always offer a gift voucher off their next treatment which I'm sure would go down well with your regulars and for a busy salon, might work out better. I wanted to put this post up today just as a little food for thought. Sometimes it's not about the gift but more the time and thought behind it. Everyone has their own way of thinking and I thought I'd mention mine. I'd be interested to know your thoughts on it too! People told me that when I started with MoYou London plates I wouldn't stop. At the time I thought that of course I'd stop... They're only stamping plates... Why would you need so many?! I've not learnt that it's not about need it's about want. Since I have two festive plates already (number 02 and 04) and love them, I figured there was always room for some more festive ones, particularly if they were multi-use for other seasons however I didn't stop there. 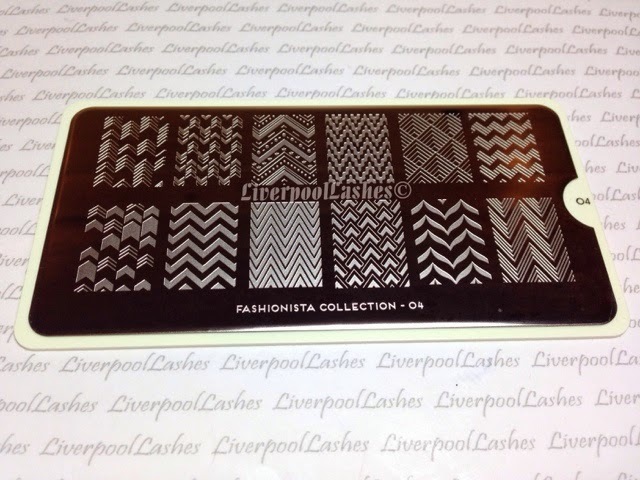 First up is the Fashionista Collection 04 plate with all of the zigzags and chevrons. I did a video a while ago called "how to do easy zigzags and chevrons" (click here to watch it) but the truth be known prints are more practical in a salon. 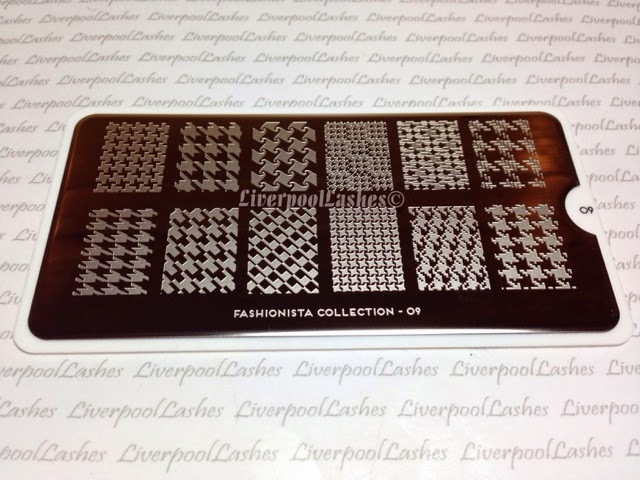 Next is another plate from the Fashionista Collection - it's number 09. Once again, just like 04 is has classic prints with various versions of houndstooth and tweed styles. I have got a freehand version of a houndstooth tutorial, click here to watch. 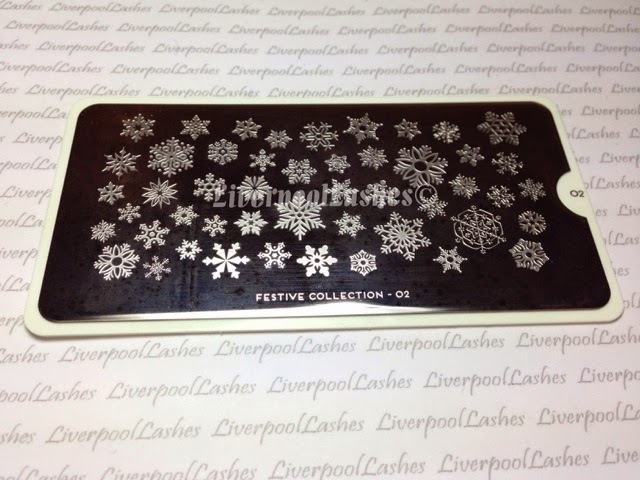 This next plate says "Happy Birthday 01" on it but it's listed as part of the Festive Collection and is wrapped in the Christmas looking cardboard sleeve. I bought it was it would be great for birthdays but also to present with the tag and the multiple present images would be perfect for Christmas along with some that would be good for New Year as well. 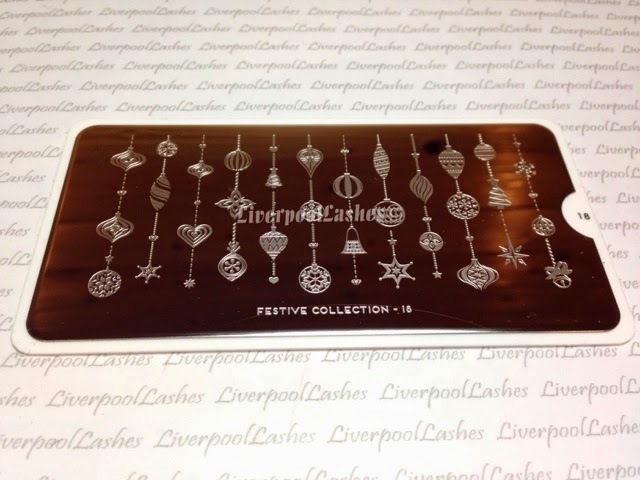 The last plate from today's haul is Festive Collection 18 which has a series of baubles and other Christmas related items on it. I've seen some designs using if where they have taken a section and printed it as it's shown or just a small piece of it and repeated it over each nail. I'm definitely happy to have it in my collection. I hope you've enjoyed this post and that it gave you inspiration for the plates you want to order next! Thanks for reading! 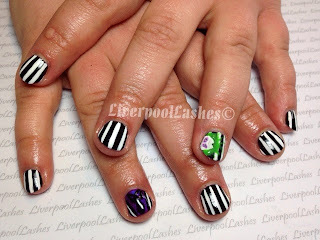 Jo booked her appointment yesterday months ago as she was going to a fancy dress party as Beetlejuice! Jo always has something fun as she seems to always be going to fancy dress parties, last time it was Moulin Rouge nails! Ultimately her nails had to be the classic black and white vertical stripes like his suit and then we decided to have his shirt and collar on one ring finger and his face on the other, all in CND Shellac. The colours I used were mainly Cream Puff, Black Pool. I used Rock Royalty with a Tutti Frutti layered over it for the shirt and Lush Tropics, Lilac Longing and Cityscape for his face. Jo squealed with delighted when they were complete and messaged me later on to thank me! I love doing nails with a theme! So much fun! I had mentioning on Facebook that I was interested in INK London iLac Gel Polish and somewhere along the line a follower got in contact with them and told them. They then got in touch with me to offer some samples for review. I have to be honest, I was a little worried to go ahead because often companies only want you to say it's fantastic or keep quiet for fear of it damaging their brand but they replied to me back simply saying they wanted me to tell you everything, the good, the bad and the ugly (their exact words!) I can't tell you how refreshing it is for a brand to be so confident in their product that they're literally like "say what you like!" so I took up their offer. The thing that I loved from the start that this is a British brand. It's great to support products from your own country, I believe that's pretty rare in terms of nail products and in particular, gel polishes. I received their full range of prep products, as shown in application and removal video here (also at the end of this post) along with three fantastic shades which may I add - they purposely didn't send me their top sellers to make it a fair review and people were just blinded by amazing shades - another gold star for being such an genuine brand! 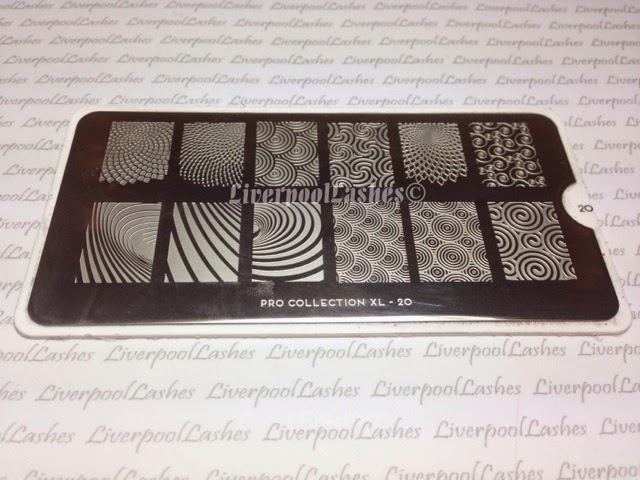 My video goes through the full process so you can see for yourself but in a nutshell the iLac brush is easy to control giving me a perfectly smooth professional finish to my nails. Even from the base coat my nails were super shiny, I literally couldn't imagine nails any glossier than that. 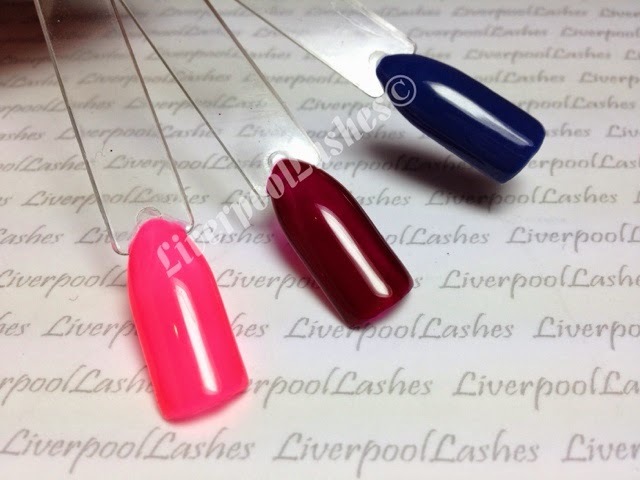 iLac is LED and UV compatible so it is 30 seconds in a LED lamp or 120 seconds in a UV lamp for every single coat. This makes the base coat a longer time than CND shellac if you're curing in a UV lamp, but that's only minor issue for me. There were pros and cons about the packaging for me. I like the packaging for the actual iLac bottles however it would be good to give a better overall feel with their packaging of the prep products as they can feel slightly cheaper. Having said that though, if it was a case of having the bottles they have but containing a good quality product or bumping the price just for the sake of a fancy bottle, they can stay as they are! Also there is a brush to apply their cuticle remover where as I would personally prefer a dropper for hygiene reasons but on the flip side of that, their cuticle oil applicator is better than the dropper that the CND Solar Oil bottle has which is rubberised and always disintegrates over time. I always want to point out the scent in my reviews now as I feel that this plays a big factor both for yourself using it all day on clients and for the clients themselves. This hasn't been anything I've considered before until reviewing Gel ll a few months back with a fairly strong and not so fragrant scent, then others came forward to say that Gelish is worse. 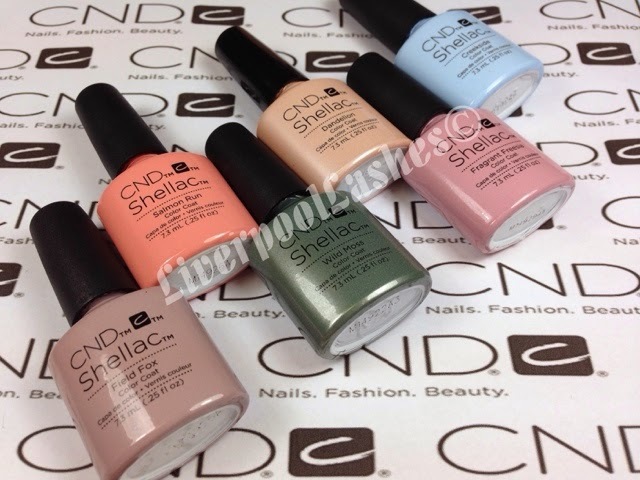 CND Shellac can only really be detected if you actually smell the bottle so I definitely wanted to sniff out iLac to describe it in comparison. In a nutshell it smells like regular nail polish, nothing unpleasant and fairly vague which many probably would even notice. In terms of the price, obviously I cannot reveal trade prices openly online however I can reveal that they are very competitively priced within the market. The removal is fantastic, as you can see in my video with using Shellac Nourishing Remover, standard pure acetone or their Gel Polish Remover. I would say that their own remover was more nourishing than acetone and closer to Shellac Nourishing Remover and has a pleasant scent. The bottom line is... As hard as I tried, even given free reign by INK London themselves to say what I liked, I struggled to find a negative point about iLac! The packaging issues I mentioned are so minor and I say, if it's going to effect the cost then keep them as they are! I would love to see the colours actually have names instead of numbers. I just think they would be more memorable and a little less "clinical" somehow?! As I say in my video, I told myself and a few followers after the application that I was delighted with iLac and it would only possibly be the removal that could stop me investing in the brand, having it alongside my existing one to fill in any gaps in my colour options. Since the removal completely floored me, it was completely outstanding then I am definitely going to go for it. 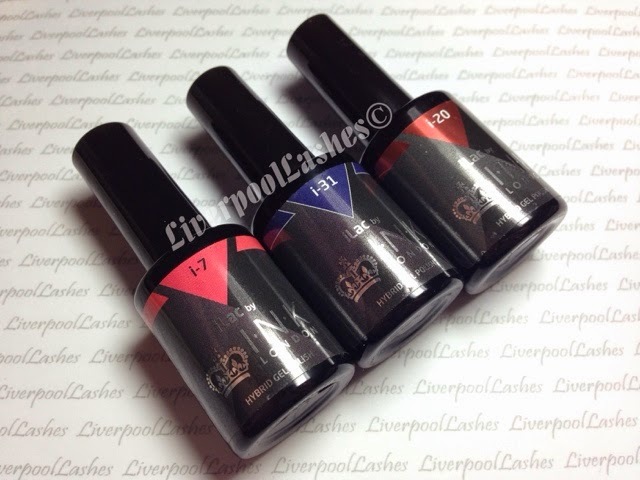 Lastly, INK London do another product that I'd be keen to try. It's called xLax and it's an all-in-one gel polish. This means there's no base coat, top coat or any need for a product to remove the sticky layer. This concept sounds fantastic and they have it available in 15 shades so far. I hope you've found this post useful. Please ensure that you are following my Facebook page to be notified of all my latest videos, reviews and tutorials. There is now a Facebook group to talk all things 'INK London' - click here to join! Today has definitely been an exciting one I simply had to share with you all. 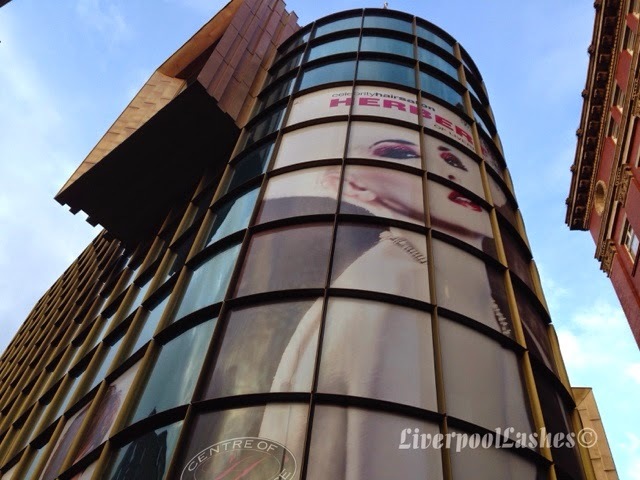 I was booked onto the very first LVL training at hosted by Creative Academy Manchester at Herbert's Of Liverpool. I've already spoken about my first impressions of LVL here. Since I wrote that post I have continued to have LVL regularly every 8 weeks and thoroughly enjoyed the treatment. I wouldn't say that I was particularly patriotically but I do feel that been able to do this fantastic training in my home city is so exciting. As I'm not the biggest fan of public transport, I did want to drive there, which I thought would be a pain however the Hanover Street car park is almost directly opposite Herbert's Of Liverpool. If you did want to brave the bus or train it's still an easy place to get to. The building itself is pretty swanky inside too, filled with fancy shaped sofas and modern furniture. The class was run by Nouveau educator Kirsty Walker who of course I know from Creative Academy Manchester but I've not trained with her previously. After the initial introductions, it was straight into learning about the brand, the treatment itself and contraindications. A massive benefit to LVL for me is that there's no infills or really any maintenance for them. I adore semi permanent lashes but as I sleep on my side, after a few days they typically all fall off in that area, leaving a gap. Overall I just think it's a brilliant idea to work with what you already have naturally. 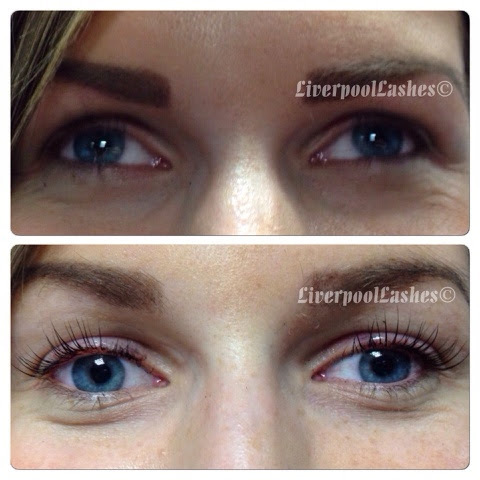 After the demonstration modelled brilliantly by Alex and some delicious lunch which is included in the class, it was time to pair up and LVL each other's lashes. Lucy did mine first and then I must admit I got to work nervously on hers however Kirsty was there to help and guide throughout. After a small test at the end of the day (which I got 18 out of 18 correct - but I'm not bragging!) We were all told that we had passed and I'm now qualified to carry out LVL, how exciting! If you're near Liverpool then definitely get in touch with Creative Academy Manchester and book in for a class at the Herbert's of Liverpool training centre. I was in Creative Academy Manchester today picking up a fresh bottle of Midnight Swim as I'd clearly gotten a little heavy handed with my old bottle and snapped the brush away from the lid....! 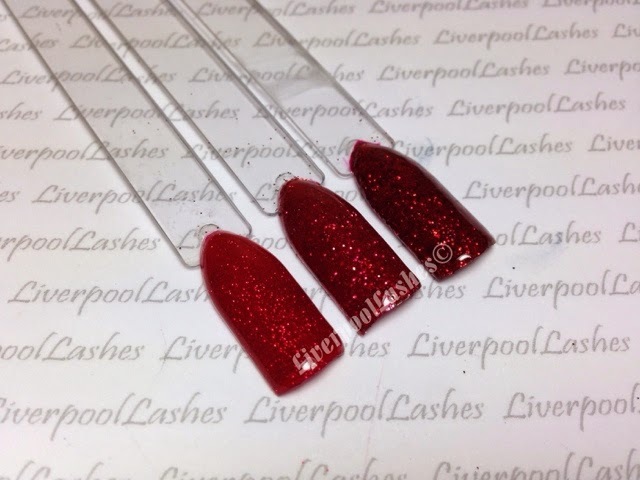 Anyway, whilst I was there there was a customer asking about CND Shellac in Ruby Ritz which has been available on a limited edition basis for the past few years. Unfortunately due to the amazing special offer that had with it recently, it's now sold out. I then overheard one of the staff telling her that if you layered certain glitters with Decadence over you could get a similar effect. 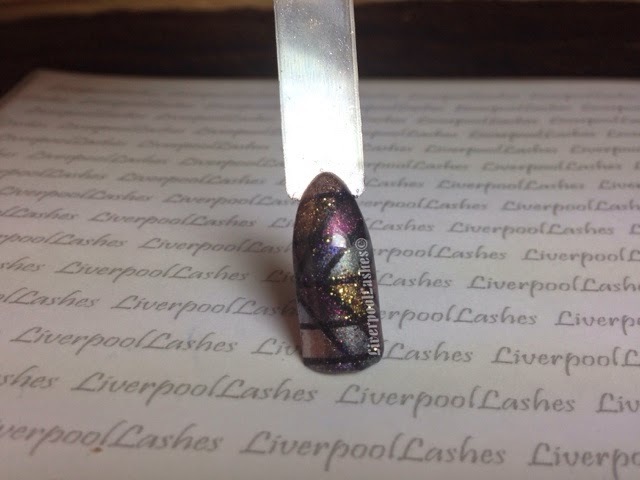 I decided to try it with a couple of my glitters to show you but obviously it doesn't have to be these exactly glitters, just a glitter that's close in colour should get you a result close to the colour pops shown. On the left of the above photo is actually Ruby Ritz for comparison over a layer of Wildfire, the middle is Wildfire with Antique Gold Glitter and Decadence over and the right colour pop is the same but with Wine Red Glitter instead. Glitter will of course get onto the bristles of the brush but I just kept a piece of desk roll ready and remembered to wipe the brush before returning it back into the bottle. 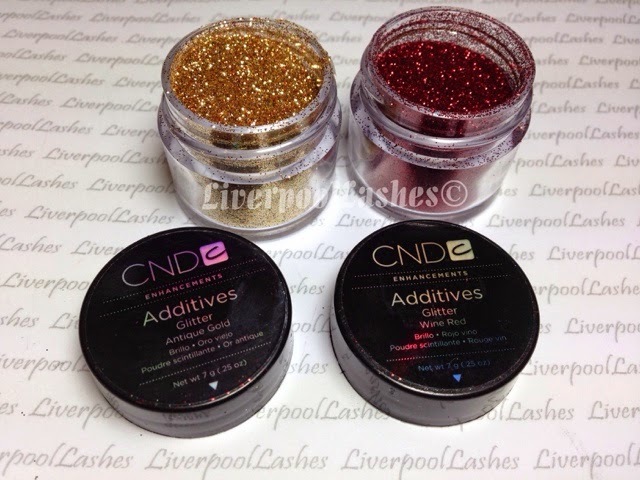 I think if you wanted to get an exactly match then the glitter would have to be super fine, maybe something like CND Additive in Sizzling Sands might be an idea. Either way, if you don't have Ruby Ritz to compare to then this is a pretty beautiful alternative! I've called this post "nail nail" although I'm thinking that that's not technically true as I did actually go up to Creative Academy Manchester to buy it and bring it back... Never mind! You get the gist! In truth is nothing I bought was essential, however I had a hankering to get some fresh supplies whilst I was there doing my Perfect Polishing class. It's so easy to nip down on your lunch break and shop! 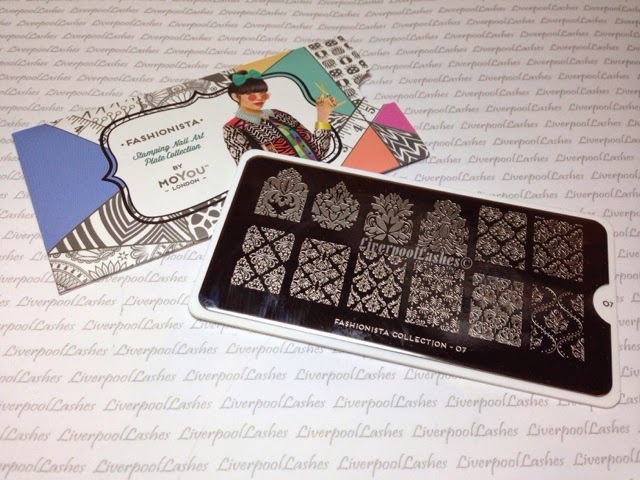 First on the list was MoYou London Fashionista Collection 07 stamping plate which was exactly what I've been after recently as I've wanted to do some stamping with beautiful damask prints. I have a feeling that I am going to be using this plate a lot as it prints beautifully and crisp. 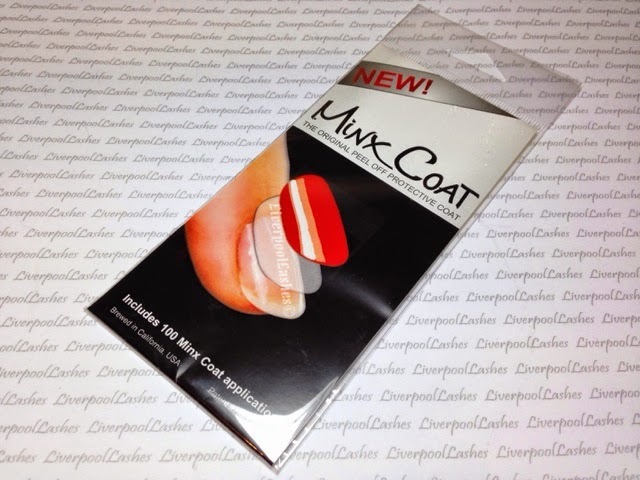 Next up was a proper pack of Minx Coat. I had the trial pack which I review (click here to read it and watch the demonstration) Although I have the remainder of the trial pack left, I wanted to make sure I had a full pack of them ready for my clients. I have been gradually building a collection of CND Vinylux as I love that the colours match my Shellac collection and the speed that it dries in. I bought Guilded Pleasure and Daring Escape just because I like the shades. I bought Overtly Onyx was due to me being told that it's amazing for nail stamping as the hints of shimmer show through the print. It's becoming a running joke but I am currently obsessed with foils. I really want more designs and prints for my collection, I'm so keen for Lecente to bring more out! After hearing their Peacock foils being spoken about forever, I finally caved and bought it along with Oil Slick. 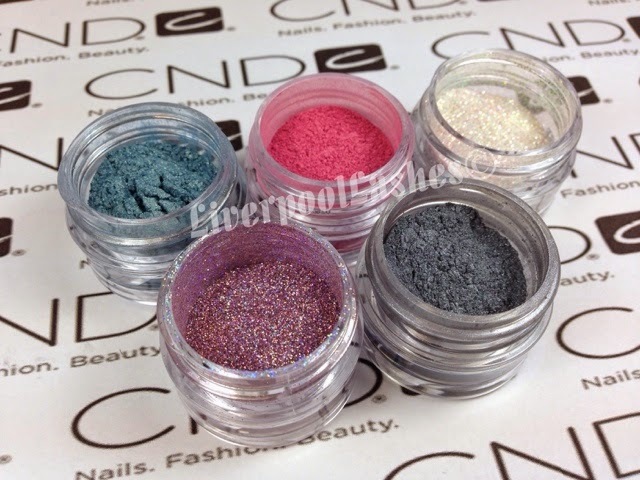 The one thing I never took to is CND Scentsations. I totally agree that they smell nice but ultimately they're a standard hand soap or hand lotion but with a slightly larger price tag. I decided to buy one to see if it changes my opinion - you have to try these things! So that's all of my nail mail. Nothing too life changing but a few bits and pieces to add to my stash. When it comes to stocking fillers, Secret Santa gifts or just a little treat - look no further than the Clean Rollerball Collection if you have access to a Sephora. I've already reviewed the Clean Warm Cotton fragrance and it's definitely a favourite of mine. The rest of the Clean range is literally that - a clean smelling fragrance with a hint of something else in each one. I adore this gift set as it gives you the option of having a handbag sized version of each scent so that if you love it, you can then buy the full sized version if you enjoyed it. 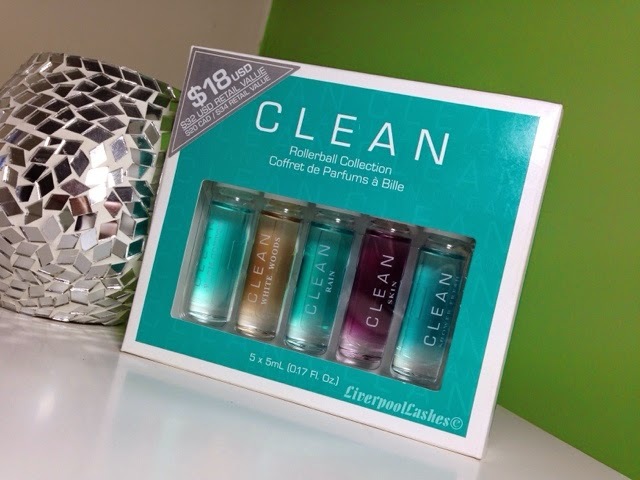 I love the mix of fragrances in this set, it means that if you wanted to get it for a friend or family member for Christmas then you would be guaranteed to get something they like in there. It's nice when you can find a spare moment to let your imagination run wild, no theme or agenda and do some nail art. This afternoon I did exactly that so I thought I'd share with you some of the designs I came up with. With two coats of CND Shellac in Overtly Onyx, I applied to striping tape across the nail and then in a chevron style vertically. 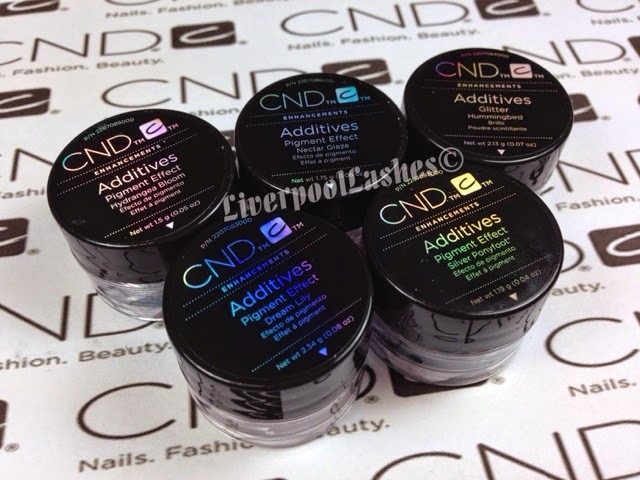 I then apply various different CND Additives to create this interesting effect. For the next colour pop I cured two layers of Cream Puff and applied Lecente Milky Way, CND Additive in Blush Bronze Frost into the sticky layer. I then used Overtly Onyx to draw the design and CND Additive in Violet Pearl for the centre of the butterfly and Pink Gold Sparkle for the flower. For the centre colour pop and the far right, I applied two colour coats (Serene Green and Crimson Sash) I then took a fan brush, wiped it over with a little D Sperse which meant the bristles slightly stick together and after dipping them in Locket Love I swept across the Colour pops. The final Colour pop is two coats of Sage Scarf, a few dabs of Lecente Galaxy and Lunar and the snowflakes drawn with Overtly Onyx. I particularly liked using the fan brush for the fine, perfectly spaced lines. On the red colour pop I went over them very lightly for more of a feathered look and on the green colour pop I swept from the sides to the centre. I hope you enjoyed this post! If you're not already following Amanda Fontanarrossa on Facebook - you need to be (link here!) 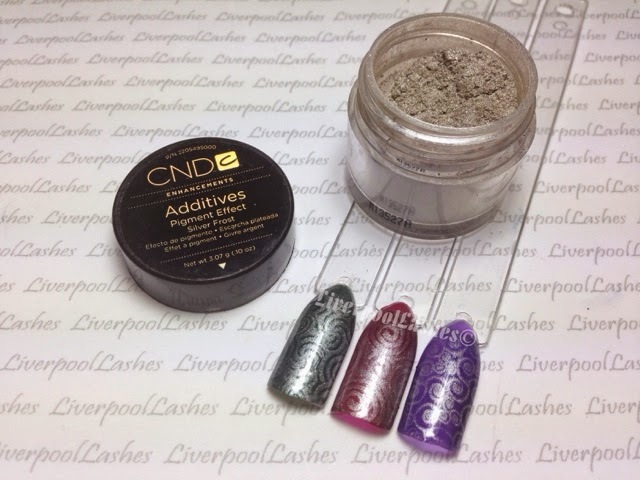 She's recently uploaded a video (click here to open new window with video) on how to do nail stamping using CND additives and it's fantastic. Since then I know many have come with some fantastic combinations including playing with neon pigments. Today's post was for two reasons, to draw your attention to Amanda's Facebook page and video but also to draw your attention to an Additive that I had personally neglected to use. My client this evening can never make up her mind, it's fair enough as I can be like that as well! She said to me that she wanted "dark red and elegant." 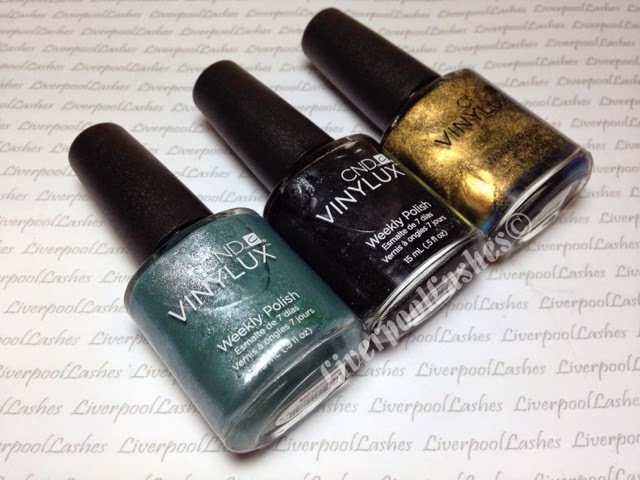 So I instantly though of my MoYou London plate with the damask print but when I did a colour pop with Barry M Gold Foil over it, she asked what she would do if she decided to wear silver jewellery. When I told her I could print it in silver she said the same about what she would do if gold jewellery was what she wanted to wear. 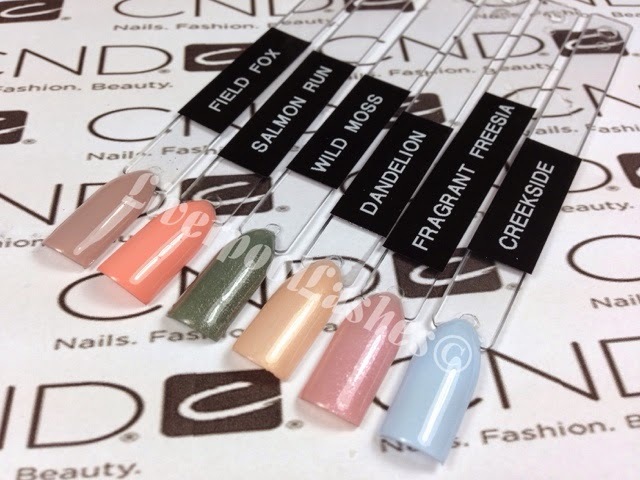 I have all of my CND Additives arranged in their Colour families and all of my metallics are together which is the only reason that I saw Silver Frost. I will totally admit that I had forgotten about this Additive which despite the name is a grey/champagne shade - a perfect mix of silver and gold and great for Christmas / New Year nails. Previously if a client asked for silver I'd be tempted to go for Paved Diamonds which is stunning but that's a true silver and this is a mix of metallics that I just don't hear anyone talk about! 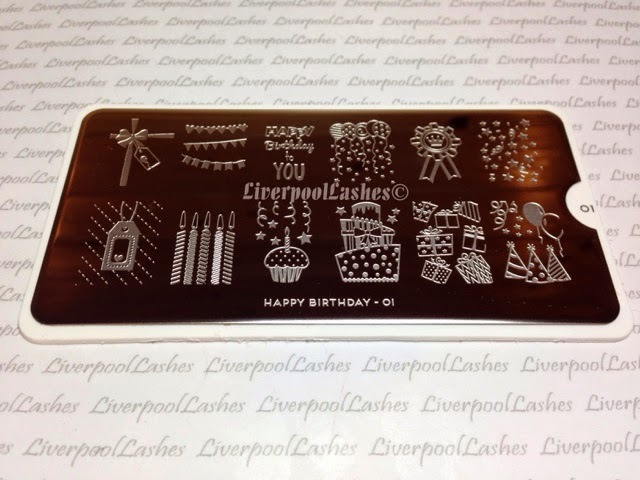 I did want to mention my thoughts on stamping with Additives too. I find that certain width prints work better than others. As some Additives are really sparkly, with a fine print you can't always see them. Equally the different texture Additives give a different effect as well. I hope you've enjoyed this little post! Something that I don't hear much about is the paraffin wax treatment. This is something that was included in my manicure course in college however I do believe that you can book in to various places around the country on a one day course to learn the treatment, the application and the benefits of it. Although I do understand that at this point in December salons get extremely busy with Christmas appointments, however the paraffin wax treatment is perfect for the colder months. They are warming, they provide a great deal of moisture to dry, cracked skin and clients with arthritis will particularly benefit the most during this time period as the cold weather heightens their symptoms. I wanted to highlight the benefits of this treatment today as I returned back from my friend's house with my heater and I really saw the benefits that she received from it. 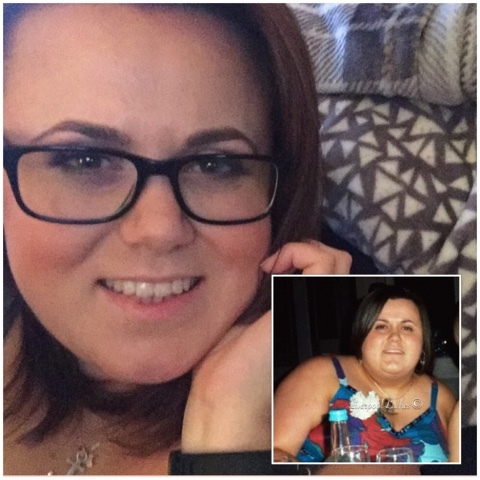 She's had rheumatoid arthritis since she was two years old and received this treatment through her school. This stopped aged sixteen and she was unaware that she could have continued having it done with a beauty therapist. For those of you who are unfamiliar with it, paraffin wax is a luxurious treatment that is intended to moisturise, soften the skin, increases circulation, and promotes a sense of calm in the client. It's typically an optional extra when booking a manicure or pedicure however you could offer it as a standard alone treatment with a hand and arm massage. Paraffin wax is not like the arm or hot wax that is used for hair removal on the face and body which is much more viscous and bonds to the skin. Paraffin wax is a softer wax because of the paraffin oil component. As it’s a soft wax, it melts at a lower temperature, so this means that the skin can be treated with the wax without causing burning or blistering. During paraffin wax treatments, wax is painted onto the client’s hands or feet several times to create a thick layer. The hands or feet are then wrapped in plastic, or some other non-absorbent material and left to 'soak' in the layer of wax for up to 30 minutes (I was also trained to put my clients hands in the heated mitts or boots.) Once the skin has been allowed to soak in the wax and the layer has hardened, it can be pulled off in one solid piece. Because the wax is soft and contains oil, it does not become very stiff and does not adhere to the skin. After the paraffin wax treatment the skin is left deeply hydrated and soft. The use of paraffin wax therapy can be traced all the way back to the Roman Empire. The Romans would pour hot waxes on the body in preparation for massage therapy. Later the French embraced paraffin therapy by melting paraffin wax and spreading it on wounds to accelerate healing. In World War I, the British army used paraffin wax therapy as a protocol to treat orthopaedic disorders in military hospitals. This is a treatment offered in hospitals, usually in a plain format however in beauty essential oils are added to give a feeling close to aromatherapy. I haven't heard of many salons offering it or much talk about it so if you have a heater, get it sanitised and plugged in and ready to go as an add on treatment - it's fantastic! It would also be a brilliant gift voucher option for a client who perhaps wants to treat a family member to a lower priced gift (If I do it as a stand alone treatment I would generally charge £10) which is also an excellent way of gaining a potential new client! There's something about snowflakes that are so elegant don't you think? If a client wants tasteful, festive nails but nothing too much I always turn to snowflakes. 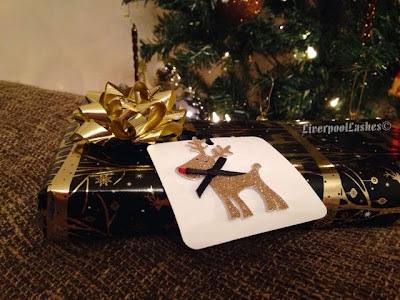 I was thinking about ideas for ways to do snowflakes and it dawned on me that I actually had quite a few ideas so I thought I'd put them together on today's blog posts. I'll go from left to right of the above photo to tell you what I used for each design. 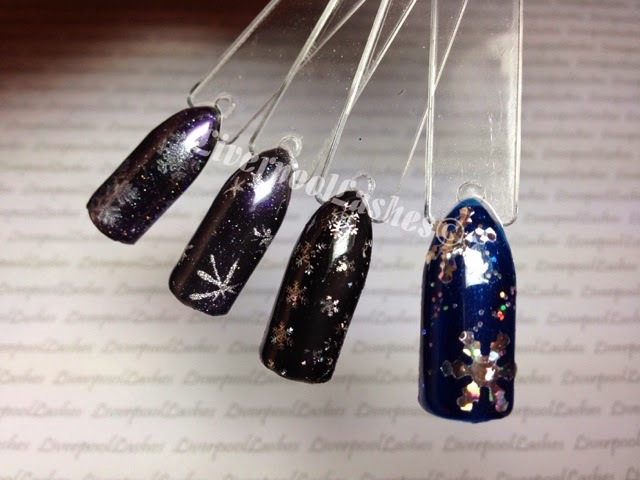 First up I used MoYou London Plate 02 to stamp my snowflakes using CND Additive in Titanium Pearl over a layering combination of CND Shellac in Overly Onyx and Dazzing Dance. The next colour pop is the same layering combination but I applied Lecente Galaxy over the top, drew a very basic mix of stars and snowflakes in Shellac top coat and cured it. I then wiped over the nail with D Sperse to remove the excess glitter to reveal the design and applied a layer of top coat. 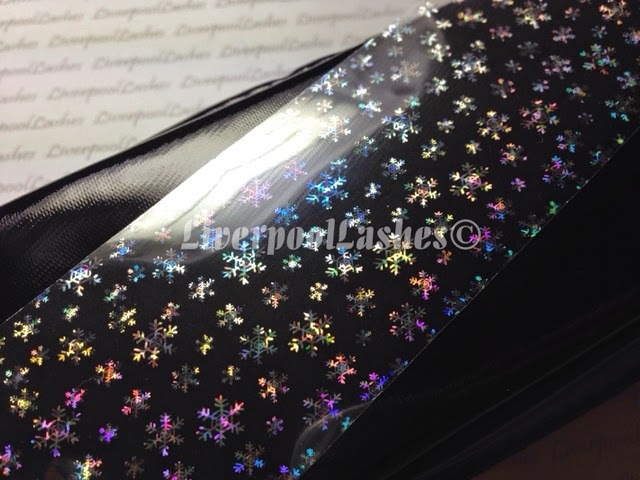 Next up is this amazing holographic snowflake nail foil that I ordered from Australia but it did arrive within a week. I find that this foil is easier to use by touching the nail and pulling quickly. 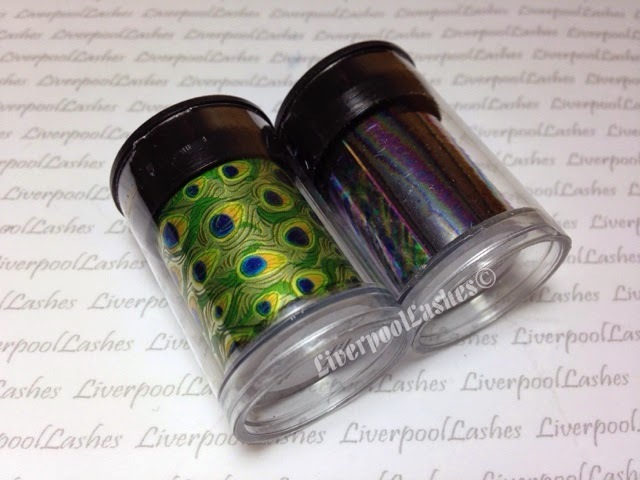 The colour pop has Shellac Black Pool underneath the foils. Finally I bought a craft cutter in the shape of a snowflake. I originally bought it with the hope of cutting my own pieces of foils but when I tried to do it the delicate foil just scrunched up when I cut it. I therefore put a piece of paper with the foil and with the added strength it cut perfectly. I then applied the entire foil (including the backing) onto the sticky layer of Shellac Midnight Swim and covered with two layers of top coat, curing each time to seal. Finally I just wanted to share a set of enhancements I did last year which is technically a sixth idea. 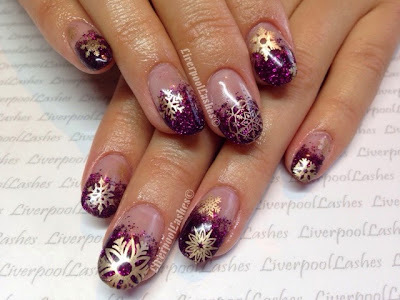 They had white iridescent glitter faded from the top and gold snowflake slices encased in them. I hope I've given you a few ideas for snowflake ideas. Please don't forget to keep up to date with my latest posts by following my Facebook Page.